Pan-African Payments company, Cellulant, has built Africa’s first Augmented Reality (AR) powered try-on experiences in Facebook Messenger, Mula. 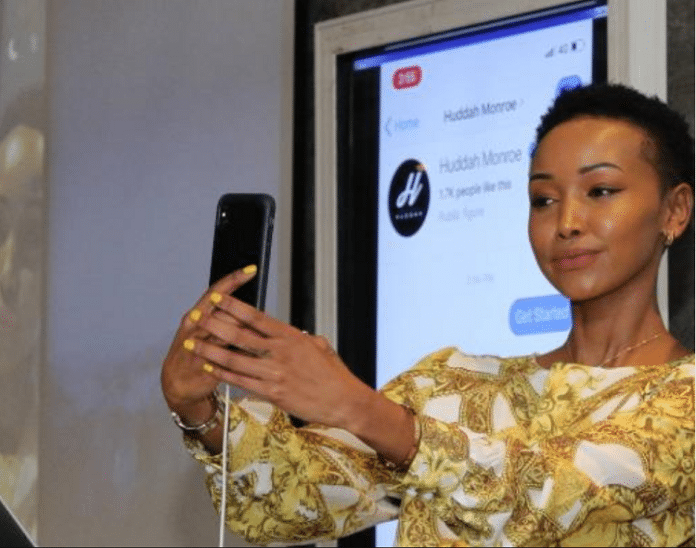 As part of the roll-out programme, Huddah Monroe’s Huddah Cosmetics has been selected as the first social commerce merchant on Mula to launch the platform. “For Huddah lipsticks, for example, the AR technology switches on the camera on your cellphone and engages the buyer to try different shades before making a choice and concluding the purchase through Mula seamlessly,” reads a statement from Cellulant. The new offering will include Mula Shops, an online shopping experience for micro-merchants (or Hustle-preneurs) on social networking sites. Mula Shops integrates Augmented Reality into the Facebook Messenger where customers are able to discover and try products before they purchase. According to Cellulant’s Chief Product Officer Faizal Mirza, the future of innovation in Africa is in providing a seamless experience in a space that is currently fragmented. “Fundamentally, we will be able to connect one of Africa’s growing base of micro-merchants’ gig economy a.k.a Hustle-preneurs to their ever mobile and digital customers”, says Mirza. Huddah Cosmetics was founded by Kenyan model and entrepreneur, Alhuda Njoroge better known as Huddah Monroe. A GeoPoll survey published in February this year found that a significant number of online shoppers utilize Facebook groups. At 32 per cent, Facebook is the second leading online retailer in the main e-commerce regions. Proud Dzambukira, the Facebook Product Partnership Lead, Middle East & Africa revealed that the new development will also be rolled out on Instagram.